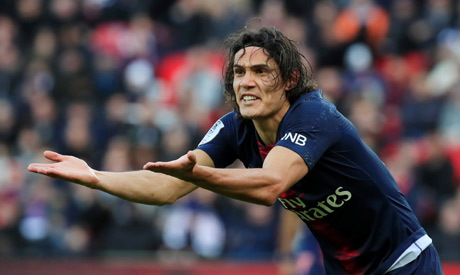 There is only a slight chance that Edinson Cavani can play at Old Trafford against Manchester United in the Champions League on Tuesday, Paris St Germain coach Thomas Tuchel said on Sunday. "The club will issue a statement later during the day. In my opinion, the news will not be good," Tuchel told French TV channel TF1.